Entergy Corporation is seeking an injunction to keep Vermont Yankee operating past March 2012 until a court can decide who has jurisdiction over its future. We hear from Vermont Law School professors Pat Parenteau and Don Kreis, who dissect the trial that begins Thursday in Brattleboro. 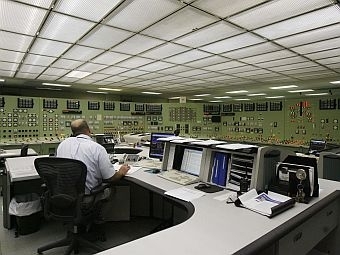 They discuss who has the authority to decide on whether the plant can remain open – the state or the Federal government. behind a Measles Alert the state has issued. And, we head to Summer School. Our weekly series taps local experts to help us learn a new skill or hobby. In this installment, two-time Vermont state champion Steve Light gives us a lesson in playing the banjo. The Vermont Law School has reduced its workforce by 12 people, laying off two and buying out 10 other workers. We’re celebrating the fourth of July with food and music. We’ll talk with a UVM professor who’s written a book about how regional food is rich in taste and value. And we’re treated to a performance by the Vermont bluegrass group Banjo Dan and the Mid-Nite Plowboys – they have a new album out.